Data-driven businesses are more successful than competitors who don't use data to make decisions - it's a fact. Google's Big Data analytics solutions, including Big Query, are already helping businesses take the next steps in data warehousing and business intelligence. Now, the most innovative businesses are turning to Artificial Intelligence or Machine Learning (ML) solutions from Google to get even more value out of their data. 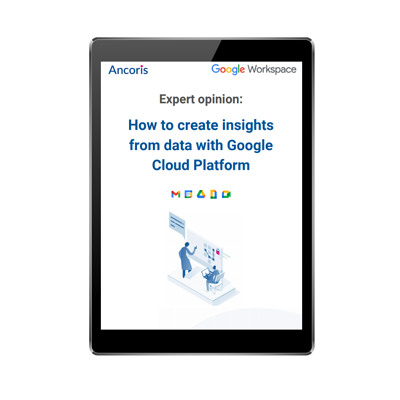 If you've got data coming from multiple sources and you find you have less and less time or the technical resource to use your data in more meaningful ways, then cloud computing can help you to gain valuable insights, easily. Simply complete the form to request your copy.